MANHATTAN (CN) – The White House may have slipped up and acknowledged the existence of records relating to a 2017 controversial raid in Yemen that the CIA wants to withhold from the ACLU, a federal judge ruled Wednesday. The records, sought by the American Civil Liberties Union, detail the motivation and some of the logistics behind the raid, which resulted in the death of a Navy SEAL and several civilians. CIA officials have refused to acknowledge the existence of the records, citing the agency’s potential ongoing operations in Yemen. However, several comments about the raid in the days that followed by former White House Press Secretary Sean Spicer may have tipped the agency’s hand on whether the records exist, U.S. District Judge Paul Engelmayer wrote Wednesday. “The court is unprepared to accept that the CIA director attended [a] meeting with the President in which that raid was discussed and appears to have been approved, but that neither he nor his staff ever generated or received any documentation whatsoever,” Engelmayer wrote. The raid, which has since come under fire for how swiftly it was executed after Trump took office, has also been the focus of controversy on the civilian death count and the legal circumstances under which it was carried out. Prior to the raid, President Trump temporarily designated the area of al Ghayil — a village in the Yakla region of Yemen — an “area of hostilities,” thereby freeing the raid from certain restrictions related to civilian casualties and the legality of the raid. After the operation, U.S. authorities claimed at least 14 members of al-Qaida died during the raid, as well as fewer than 20 civilians. However, some estimates put the number of dead civilians around 30, including the 8-year-old daughter of deceased al-Qaida leader Anwar al-Awlaki and other children. During press briefings that followed, Spicer discussed the raid with reporters and confirmed that former CIA Director Mike Pompeo was in the room when the raid was laid out and the decision made to go ahead. Last year, the ACLU filed a Freedom of Information Act request to obtain records related to the raid, looking for explanations as to why al Ghayil was chosen and the full extent of the casualties. After the ACLU’s request was denied by the CIA, Justice Department, and State Department, the civil rights organization filed suit in New York. The CIA issued what is known as a Glomar response in July 2017, neither confirming nor denying the existence of the records on the grounds that turning over the requested data would reveal the agency’s involvement and operations in the area. During court hearings, the CIA argued that statements by White House officials did not constitute official acknowledgment of the documents and would not preclude a Glomar response. Engelmayer found Wednesday, however, that Spicer’s comments “revealed the CIA’s intelligence interest in the raid” and nullified the Glomar response argument. “Were it not for the White House’s public statements about the raid, the interest that the CIA articulates with respect to the raid — that it is entitled not to disclose the existence or not of an intelligence interest as to a particular subject — would likely justify its Glomar response,” the 24-page opinion states. “The White House’s statements about the raid, however, change the analysis, because assembled statements by Spicer clearly disclosed the CIA’s intelligence interest in the raid,” Engelmayer added. CIA spokesman Ryan Trapani declined to comment on the ruling. Spicer made several public remarks in the days that followed the raid. 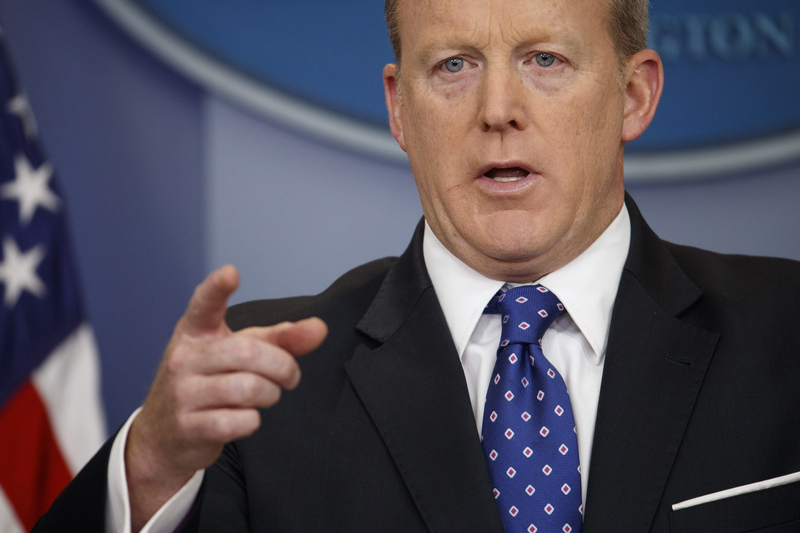 On a Jan. 31, 2017, press briefing, Spicer told reporters “we recovered a tremendous amount of information” from the raid, which resulted in the deaths of three al-Qaida members. Spicer and other administration officials made other public comments regarding the raid over the next few weeks. He said the CIA must turn over or seek FOIA exemptions for records related to the raid approval process. “The revelation that the CIA contains records responsive to this request has already effectively been made,” Engelmayer wrote. The ACLU has requested either an index or the actual withheld records, but Engelmayer said “the wiser course” is to give the CIA two weeks to determine if a more targeted Glomar submission is viable. A “number of the ACLU’s document requests seek much more specific (and comprehensive) data and records than revealed by Press Secretary Spicer’s broad pronouncements,” Engelmayer wrote, noting FOIA exemptions on national security might apply. The Yemen raid garnered criticism from those who said it was rushed and poorly executed, as well as claims that President Trump did not monitor it from the Situation Room, instead getting periodic updates during dinner. Owens also criticized administration attempts to stymie questions about the purpose and efficacy of the raid. “Don’t hide behind my son’s death to prevent an investigation,” he said.